Youngest of six children in the family Julianne Phillips was the most loved and pampered and had her interest in all the other things except academics as a kid. 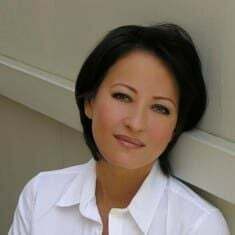 She is an American former actress and model, who retired from the showbiz in the late 90s after appearing in various movies, music videos and television show at the 80s and 90s which include Sisters, Skin Deep, Allie and Me, Sweet Lies, 38 Special and among others. Julianne Phillips was born on 6th of May, 1960 in Chicago, Illinois, United States of America. She is the daughter of William Phillips, an insurance broker, and executive and Ann Phillips. She was raised in Lake Oswego, Oregon. Her family was deeply religious and followed Roman church rituals. Phillips was the youngest of six children in the family so she was the most loved and pampered among the children. She finished her schooling at Lake Oswego High School and higher education from Brooks College. Phillips was interested in modeling as a teenager and despite her parents' slight dissatisfaction with her career choice, she moved to Manhattan to make a career in modeling. Fortunately, she was accepted by Manhattan city with open arms owing to her high self- confidence and her beautiful appearance. Then in 1982, she started working with the Elite Modelling Agency. She was 22 at that time which was characterized as a perfect age for modeling, earning as much as $2000 a day. After working for several big fashion houses, she moved to Los Angeles to try her luck in acting. Then Phillips appeared in a .38 Special music video. The video was her first notable acting role. And in 1984 she made her debut in TV movie named Summer Fantasy and after some interval, she again appeared on another movie named His Mistress alongside Robert Urich. Similarly, one of the famous musicians Bruce Springsteen offered her to feature in the music video for the single Glory Days. 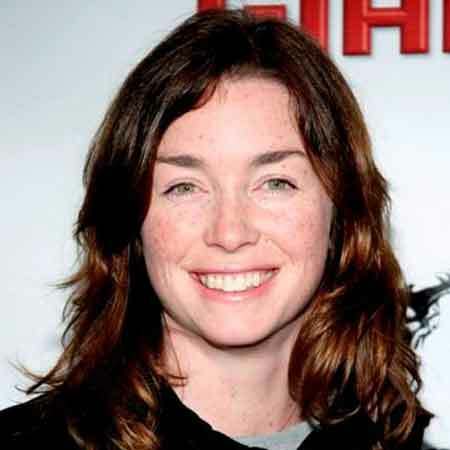 Phillips then appeared in many movies and television series, however, she is mostly remembered for her role in Sisters. The show became her trademark and it is considered as one of the successful shows of the 90s. Sela Ward, Swoosie Kurtz, George Clooney, Patricia Kalember, Ashley Judd, Elizabeth Hoffman are some of the cast members of the show. After doing two more movies in the late 90’s Allie and Me and Colin Fitz Lives, she retired from the movies. Despite being inactive in Hollywood since 1997, she has not fully disappeared from the entertainment world. Like in 2001, she was invited in an interview for the biographical documentary series, Intimate Portrait and in 2014 she appeared on a special edition issue of Entertainment Weekly that documented on the NBC morning news program Today. Being an actress and a model, Phillips amassed an impressive net worth. According to Celebrity Networth, she has a net worth of $30 million. Her earlier modeling and acting career are her main sources of income. Besides, Phillips also received hefty alimony after divorcing husband of four years, Bruce Springsteen in 1989. He paid $20 million divorce settlement which is considered as one of the most expensive celebrity divorce settlements of all time. Talking about Julianne Phillips personal life, she has had a quite controversial dating life. 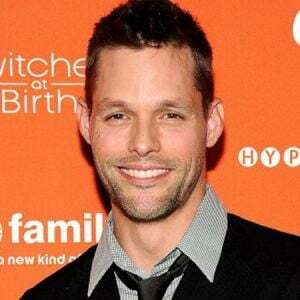 In 1990 she dated Bryan Kestner, an actor, however, their relationship did not last long and they separated. After her breakup, she was spotted with the new boyfriend named Pierce Brosnan, an Irish actor, film producer, and activist. Their affair ended in the year 1994. But before them, she dated a famous American singer-songwriter, musician, Bruce Springsteen who is best known for his brand of poetic lyrics, his distinctive voice and energetic stage performance. Phillips first met him while shooting for a music video in October 1984. After dating for a few months they married in 1985 but the relationship did not last very long and they divorced on 1st March 1989. Together they did not have any children. Their divorce story made the headlines of every leading newspaper of that time as Springsteen had to pay the biggest alimony to Phillips. People even shamed the latter for marrying the former only money. Bruce was completely heartbroken so much so that he even dedicated most of the songs from his 1987 album ‘Tunnel of Love’ to Julianne. Brune, later on, married Patti Scialfa and the couple is leading a blissful life together. 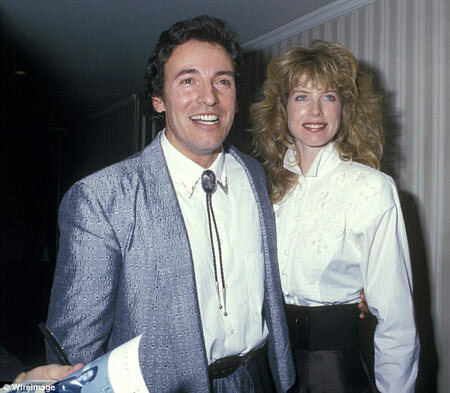 Though Phillips was involved in several relationships she never married after Springsteen. As of 2018, Phillips is single and enjoying her single life residing in her mansion in Los Angeles. Height- She stands at the height of 5 feet 8 inch (1.73 m) tall. Body measurements- Breast: 34B", Waist: 24", Hips:34". Julianne's height: she is aged 58 years.